A Yorkshire-based gin and whisky distillery is the first European distillery to join international environmental initiative, 1% for the Planet. Cooper King Distillery, England’s first self-built gin and whisky distillery, has joined 1% for the Planet, pledging to donate 1% of annual sales of its flagship product, York Dry Gin, to support non-profit organisations focusing on the environment. The announcement comes ahead of Earth Day, a global event taking place on Sunday 22 April 2018, which sees up to one billion people in 192 countries take part each year. Earth Day encourages individuals, corporations and governments to make pledges and take action to improve sustainability and environmental impact. As a member of 1% for the Planet, Cooper King Distillery commits to supporting approved environmental non-profit partners by donating the equivalent of 1% of sales through a combination of monetary, in-kind and approved advertising contributions. Collectively, the movement’s members have donated more than £120 million to environmental non-profits to-date. Cooper King Distillery’s contribution will be used to plant 1 square metre of native woodland for every bottle of gin sold through a partnership with the Yorkshire Dales Millennium Trust, planting more than 400 new trees in the Yorkshire region over the next 12 months. 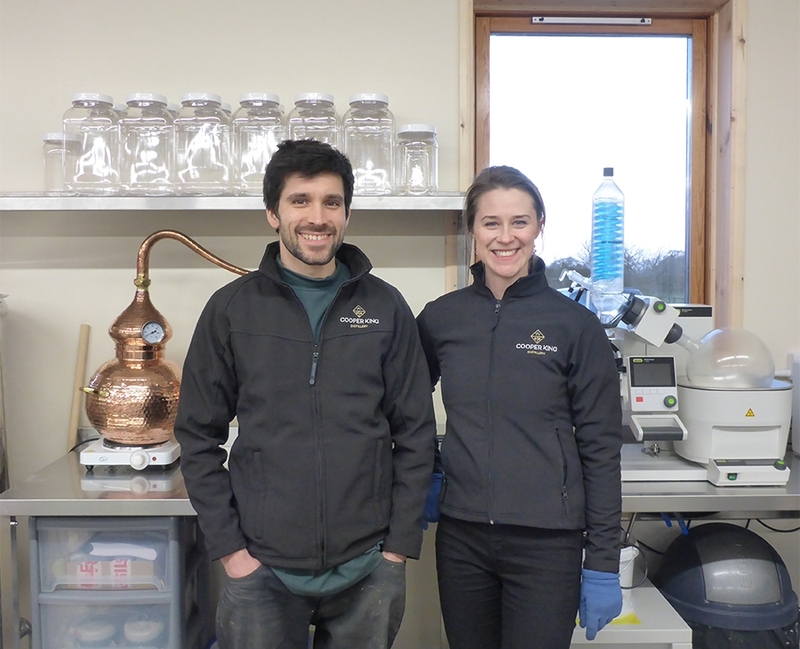 Established in 2014 by co-founders Chris Jaume, a chartered architect and Dr Abbie Neilson, a former scientist, Cooper King Distillery is England’s smallest whisky and gin distillery. With production well underway, the first batch of York Dry Gin is set for launch to the public on May 22, following a pre-sale for Cooper King newsletter subscribers. “It is fantastic to be the first distillery in Europe to join the 1% for the Planet initiative. Chris and I are determined to do all we can to give back to the environment and reduce our carbon footprint, and the 1% for the Planet movement is a really great way to do so. © Copyright 2019. Cooper King Distillery.